Pests find a way to get onto your property, whether in your home or business. 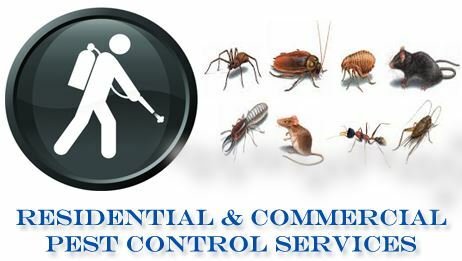 Residential and Commercial pest control services means extermination of your problem - quickly and effectively. Whether it is wasps, rodents, ants or other pests - we have you covered! Homeowners in Burlington, Oakville, Milton who find they have a pest problem call Halton Wildlife Services first for peace of mind. We understand such things as mice or ants in your home causes great discomfort and takes away from the enjoyment of your home. We also understand that everyone, especially parents with small children, are concerned about pesticide use within their home. Our technicians are experts in pest treatment applications that maintain a safe, healthy household. Learn more about our residential pest control services now or contact us! Businesses in Halton trust us for our effective, cost effective pest control services. We focus on pest eradication, prevention and extermination of pests that have already infiltrated your work space. Our ongoing pest control and prevention services provide best value and provide you peace of mind that you're being looked after 24/7 - because business doesn't take time off! Learn more about our commercial pest control services now or contact us!